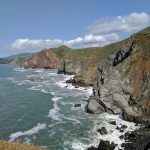 I stumbled on Marin Headlands’ Rodeo Beach by accident (another wrong turn and GPS confusion as well) but it turned out to be one of my favourite hiking adventures in San Francisco. It helped that it was a gorgeous day with a slight breeze and a warm sun overhead. There were surfers catching whatever sloppy waves they could, families picnicking on the beach and kids flying kites. Have you ever been surrounded by people and been surprised by how beautifully quiet it is? 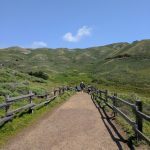 That was my experience on the cycling and hiking trails overlooking Rodeo Beach, which is part of the Golden Gate National Park. 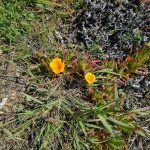 Gorgeous spring wildflowers, unending winding trails, eagles soaring overhead, and silence. Silence except for a lone tolling bell, which I suspect was coming from a buoy out to sea, although I can’t confirm that theory. With views like these though, I can see why there was hardly any sound. Just drinking in the scenery was enough to keep my brain occupied and happy. 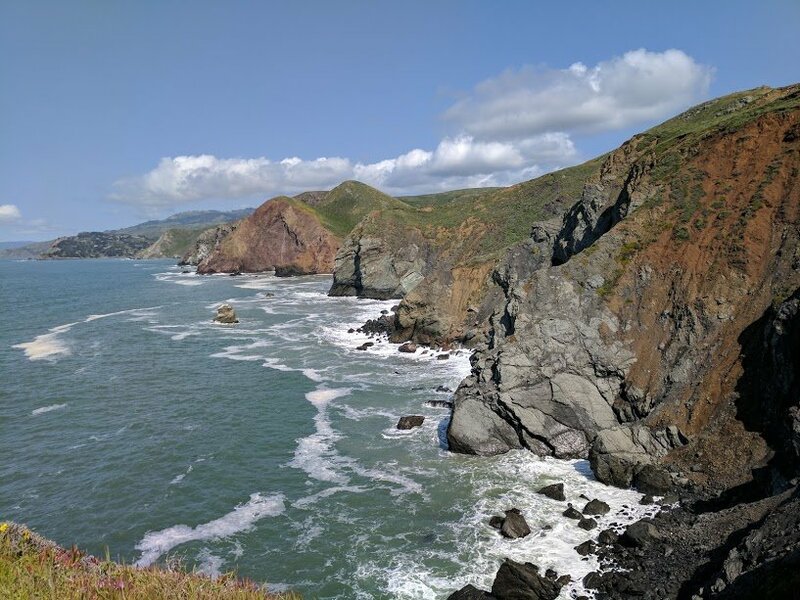 The best part is that Rodeo Beach is just three miles north east of the Golden Gate bridge, so it’s easy to get to (there’s even a bus service on weekends) if you’re looking to take in some fresh air! 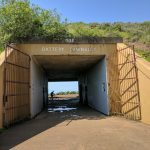 The first thing you’ll notice as you roll up to the beach are the long white buildings opposite – this is Fort Cronkhite, a former World War II military post looking out over the Pacific Ocean. It’s known as a mobilisation post, and is made up of barracks and mess halls where soldiers lay in wait for the enemy that never arrived. The more interesting structures are the Battery’s that are built into the sides of the cliffs. 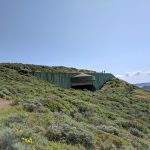 Painted green to blend with the mountainside shrubbery, Battery Townsley was constructed in 1940 and pointed two 16-inch caliber guns out to sea. 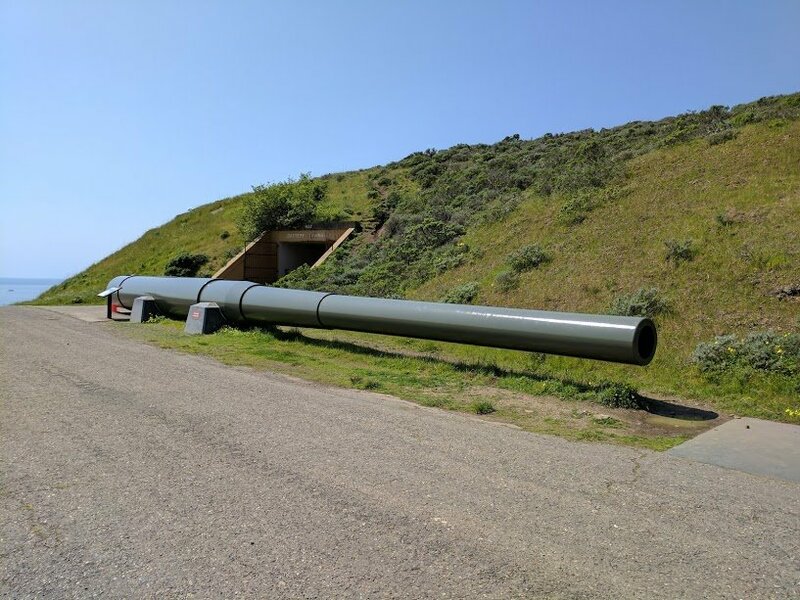 Those guns could shoot up to 21 miles (33 kilometres) out to sea, but of course to test them out, soldiers had to wait for a Karl the Fog-free day, which took a while. More than 100 soldiers lived in Battery Townsley, but they never fired the guns in battle, only in practice. Battery Townsley is open on the first Sunday of the month from midday to 4pm. It’s an uphill walk to the Battery though, so make sure you allow enough time to get there. Usually I’m a bit of a skittish hiker, especially if I’m in the bush (woods) and can’t see where the trail is leading or gauge where I am. Did I mention the gorgeous views? 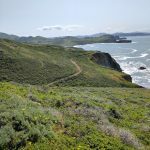 But I was happy to explore the many different trails that headed off in different directions on the Rodeo Beach coastal trail. From cliffside views, to mountains that reminded me of the Scottish highlands, there’s something lovely to see at every turn. And since I visited in springtime there were birds and butterflies whizzing past all the time. Rodeo Beach is three miles north east of Golden Gate Bridge. 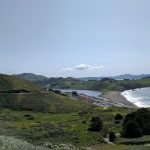 By Bus: Bus 78X (Express) leaves Van Ness Avenue and Clay Street every hour on the weekends and takes 45 minutes to reach Fort Cronkhite car park, with a stop at the Golden Gate Bridge toll plaza. Get the detailed route map here. By Car: From Market Street, San Francisco, the trip takes about 35 minutes, depending on traffic. The trip takes you over the Golden Gate Bridge, and you can stop at the popular Marin Overlook on the way, where you can get great shots of the bridge on a clear day. I love these kinds of happy accidents, where you discover hidden gems! I’ve been to San Francisco twice, but the last time was over 10 years ago! :'( The plane trip from Vancouver isn’t that long, I really should make a point of heading down there again! To be honest I was aiming for a completely different place but got lost and ended up here. 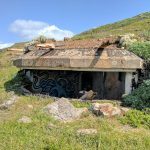 I had no idea that there were Battery’s and Forts along the coastline either. So it was great to stumble upon them! I can’t believe that I’ve lived here so long and hadn’t been to Marin Headlands before. I guess when there’s so much to see, some things are going to escape your attention right? That first pic is awesome! It was my very favourite, hence its pride of place at the top! I’ve been not far from there plenty of times Marta, and didn’t know it existed! So I guess we’re not the only ones since a lot of people are saying the same thing! It’s so difficult to get back to all the beautiful places PLUS revisiting places you’ve been to before! It was a really gorgeous day, that has been followed up with three straight days of dreary weather and rain. But it was worth it! You’re right, there really is something for everyone here Jo – my dad would be stoked with all of the WWII stuff, and I’m just happy with the views, since I’m pretty sure the water would be absolutely freezing! Oh wow, I love these photos! Thanks for sharing. I’m planning a road trip around California in the summer, so I’ll have to add this little place to my itinerary! Do you have any more Cali tips for a newbie like me? How exciting! California is such a great place to road trips! 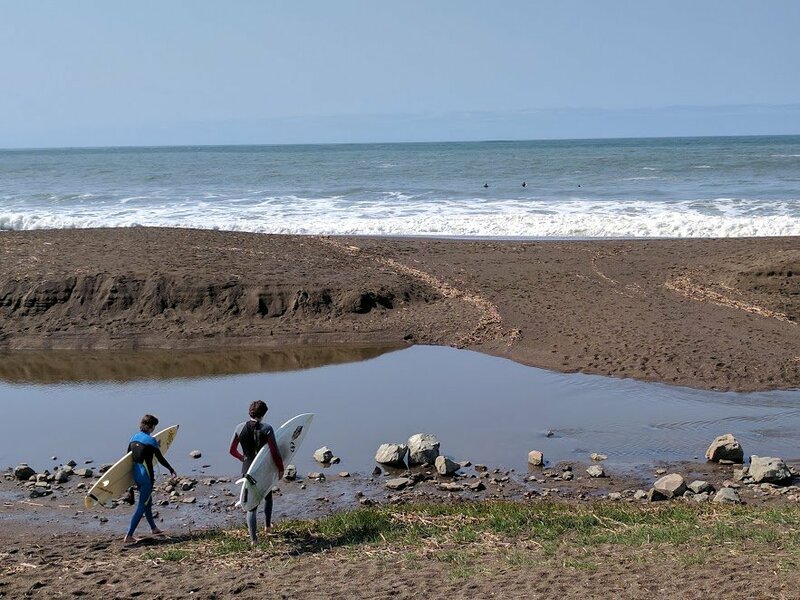 I’ve got a bunch more articles on my San Francisco board on Pinterest, with some great off-the-beaten-track ideas in there. The other tips I would give you is to prepare yourself to see a lot of homeless people – it can be quite upsetting to see so many people living on the streets – but California is gorgeous and you’re going to love it! This is making me sooooo homesick! I can’t say I’ve ever been to Rodeo Beach, but all the San Francisco sights are beautiful. 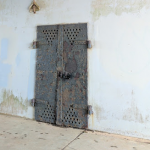 I’ve been to several old forts in the surrounding area – including Fort Point at the base of the Golden Gate Bridge – but I haven’t stumbled upon this area yet! Definitely will make my way here when I’m back stateside. Oh, I’m sorry for the homesickness Holly. 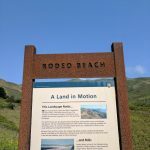 I’d never even heard of Rodeo Beach before I started looking up hikes and even then there were only a couple of mentions. Maybe there are just so many beautiful sights in SF that people just stop mentioning them? Hmm, I don’t think that I’ve been to Fort Point yet! That looks so nice! Just when I thought San Francisco and its surrounds couldnt get any better. I’m also a bit of a skittish (nice way to describe it) hiker when I can’t see where the trail goes but that really does look perfect. Haha, join my band of skittish hikers Julianna! I once went bushwalking with my Dad in Australia and decided that he knew better than me so on the way back I followed his lead. He got us so lost and we had to retrace our steps to start again to find our way back. That was a bit of an adventure. And I totally agree, that the best adventures are the unplanned and unexpected ones! Lovely photos of amazing views. Thanks for sharing a piece of San Francisco! Thanks for visiting and commenting Joy! Thanks to the GPS mishap! The place looks lovely. This is such a great area. I was just there a couple of months ago and only had a few hours to explore. I need to go back when I have more time. Finally, someone else who’s been here! You should totally go back, it’s amazing Kris. Marin county as a whole is gorgeous, isn’t it? I have some baby photos of me and my parents hiking those same headlands (well, me being carried…). Hopefully one day I can return and hike it on my own two feet like you! Oh what a lovely story Sarah, you’ll have to come back to hike Marin now and get photos! I try! Hopefully I’ll have some posts from different cities coming up soon! Thankfully the GPS veered you off course. Happy accidents are always amazing. Thanks for the info. 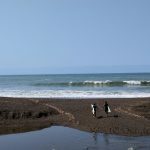 Love the serendipitous moments when you stumble onto a hidden jewel like this beach. What a great adventure and your pictures tell a lovely story as well. Will check this out the next time we are in SF. Great story! Thanks for visiting Rosemary. I love being able to write about places that are so beautiful. What a glorious day to explore! It’s a real escape from the city but yet, not far from the city. Will have to add it to my list of places to visit in San Francisco, which thanks to you is a lot longer than it used to be! I usually go to the Bay Area at least once a year so always looking for new things to do and this sounds like a great hike. It looks so pretty! Thanks for sharing on #TheWeeklyPostcard. Ooh, let me know if you get there and what you think! I always wonder if I just get overly excited about things and places. I can’t believe it is so close to the Golden Gate bridge! I never really thought about the beaches being so close in San Fran. But I guess with the bridge and the harbour etc it really is similar to Sydney. I used to work at the marine mammal rescue center in the Marin headlands. This is a great recreational area. Don’t forget to get some great pictures of the Golden Gate bridge from the lookouts off the road. Oh wow! That sounds like an awesome job Rhonda! I was going to stop at the lookouts on my way home but they were doing roadworks so half of it was closed and it was just insane with traffic. That looks like a lovely hike! I didn’t realise it was so close to the Golden Gate Bridge. I was in San Francisco in 2015 for a week and really liked the place and while I walked a lot in the city and rode a bicycle along the bridge, I didn’t really hike. I see heaps of people doing the cycle over the bridge and I still haven’t done it. I have my own bike now so I guess that I could just haul that into the city and do it on my own. Just a bit scared of the traffic. I need a proper trip to SF – I’ve been for business a few times, but never much exploration time. I love that you can take the bus and go hiking! Oh you definitely need to come to SF, at least for a weekend! Being from Australia, I associate the PCH with that TV show Veronica Mars. So I’m very happy that you brought it up. I LOVE San Fransisco. It’s such a beautiful and friendly place to visit. I love that there’s so many cool things to do and see! I’ve been here for almost two years now and I still haven’t run out of things to see and do, which is a bit of a surprise. Awesome when a wrong turn ends up being so right! This looks like a beautiful place to hike and explore – definitely taking notes! Thanks for sharing on #TheWeeklyPostcard! I’m thanking my lucky stars for my terrible sense of direction! I’ve never heard of this place, but what awesome trails. So many beautiful views! Can’t believe it’s so close to San Francisco! I’ll definitely be visiting again, it was great! There’s nothing like a the spontaneity of going with the flow! It’s great when you stumble across hidden gems by accident – unplanned trips can sometimes be the best! Interesting combination of idyllic nature and the remnants of the barracks! Enjoy it when you get there! 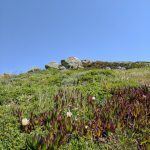 It’s now one of my very favourite hikes here, and that’s saying a lot since there are so many great places to hike here Anna. The coastline looks so beautiful. The clean roads and that big house shows how untouched the place is. That huge gun is some sort of discovery. I would love to hike along this coastline!! And even better that there’s some interesting history to learn more about! It’s the best! I had so much fun. That’s awesome Corey, I can’t believe how lucky I am to have all of these beautiful places so close to me here! Glad to hear it Jonny! I spent AGES trying to get a photo of those birds. No dice though. I rely on a GPS way too much to be honest. I used to be good at charting a route using the old street directory, but I don’t think I’d know where to start anymore. It’s so great that it’s so close to San Francisco, yet it’s just so different to the city. I see what you mean Clare, it really has shades of the UK south west coast. Thanks for visiting!